The Perks team has been in full throttle since the reveal of FlyFit yesterday. Our latest endeavor will bring passengers health and wellness beyond airport security in T2 at Heathrow Airport this Fall. Spin, yoga, meditation, strength training – all within steps from your gate. With our operating model “Think Like a Brand. Act Like a Startup.”™ at the very core of this project, FlyFit is the first venture to fully utilize the model in building an engine for growth, and will be featured in our upcoming book. Folica.com is one of the most popular online retailers for hair products and tools. The website maintains an “anything goes” policy for itself, as long it’s in the name of a great mane! User reviews, expert advice, and a comprehensive shopping experience has made this website the go-to online shopping destination for anything related to taking care of your hair. Last year we created a playful video based on How The Grinch Stole Christmas. This year we thought we could still keep that playfulness by incorporating our signature design elements to create a fun and informational holiday greeting. There’s been so much growth in online sharing that we decided to create an infographic about social media network sharing and general online digital sharing statistics. From Facebook and Twitter to Wikipedia and Youtube, online sharing in 2011 has exploded. We hope our holiday greeting makes you smile and gives you something to think about over your holidays. Seasons Greetings, from the Perks team! Most of us have figured out the go-to, day-to-day gadgets we rely on for our work – a smartphone, tablet, or laptop. But the array of accessories and apps out there for the enterprise user can be an overwhelming one. Here’s a quick list of the on-the-go apps and tech accessories that have now become must-haves in the entrepreneur’s arsenal. It seems that the better battery life gets on newer devices, the more we use our phones since subconsciously we know we can. To help fight battery drain every entrepreneur should have a quick back up to reach for in their pocket or bag that will allow them to go on and at least finish out the day without needing to run to the nearest Starbucks for an inconvenient power pick-me-up. No one wants to be caught without any power at a crucial moment – whether trying to pull up an email for reference or finding directions for the next destination. 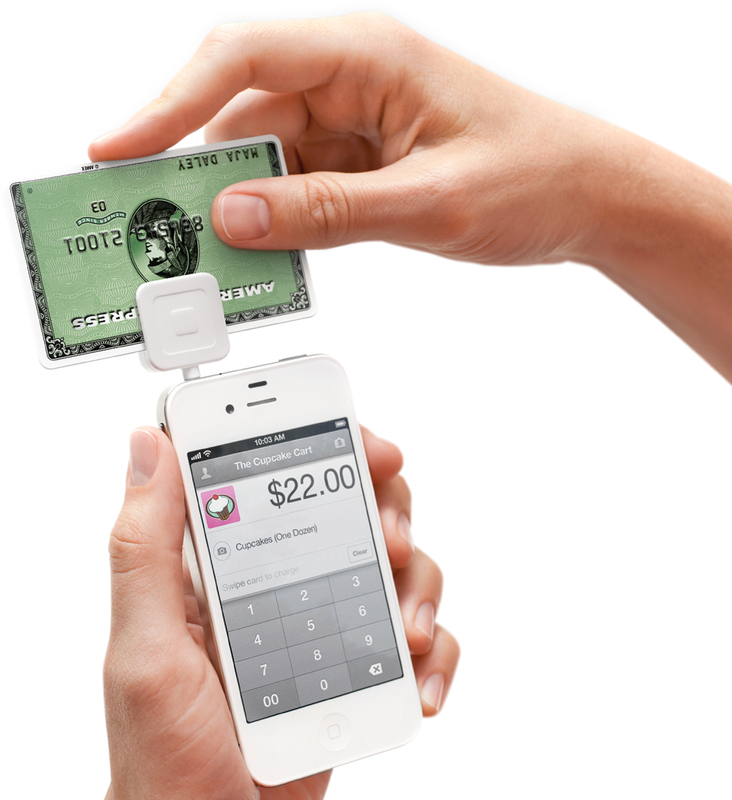 Not every entrepreneur needs a Square attachment but for those who do need instant payment options for clients and customers, Square is revolutionary. Think of the time that’s saved not waiting for a check to come in the mail once papers have been signed in person or taking in business for a quick turnaround with deposits in hand instantly. Square has proven to be fruitful for those needing payment options on site and immediately without the entire setup of a point-of-sale terminal. If you travel a lot you probably already know that internet service can be spotty at best, and security is a concern when connecting through open wifi access points. 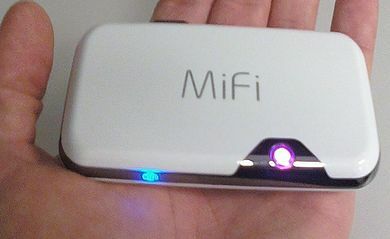 A MiFi portable personal wifi access point will wipe these concerns away. Having a monthly plan may not be the most logical depending on your travel frequency but luckily there are a couple of prepaid plans out there with various service providers. Neat Receipt is a fantastic addition for anyone who has to expense or keep track of receipts for tax purposes. It allows you to scan these paper documents and then saves them in a format that is accepted by the IRS. Bonus – your now scanned and digitized information can be imported to Salesforce easily! 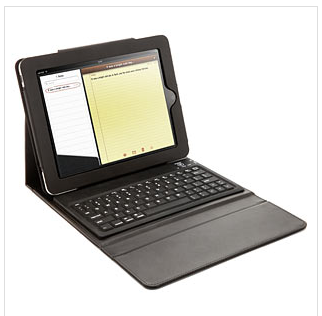 If you’re going to be doing any sort of writing that goes beyond a myriad of notes then you absolutely need a keyboard that docks your iPad or tablet, essentially turning it into a notebook. Anyone who has tried to type out long documents on the touchscreen knows that our wrists just weren’t built that way. Do yourself a favor and get one. Fellow Vator.tv writer Krystal Peak shared her favorite one here. Linkedin recently purchased Cardmunch to further build out their offerings for professionals everywhere. Cardmunch allows you to scan someone’s business card with your smartphone camera and then converts the image to the appropriate text. It automatically searches LinkedIn for their profile in order to connect right away. What better way to keep in touch than to socially connect on the professional social network? Your new contact will find your follow-up to be refreshing and thoughtful. Gist and Rapportive both keep you up to date with all of your contacts’ updates, like a personal CRM tool. The Gmail plugin for Rapportive keeps you in the loop about the person that you’re emailing with. From this sidebar you can find out their latest social network updates, recent email interactions, vital contact info extracted from signatures, and other social network links so you can connect further. Gist offers a similar feed of your address book all at once on a dashboard or organized by your tags and preferences. Don’t trust documents and platforms to save your original work? You can use Evernote for syncing your thoughts, ideas and bits of information. Evernote recently launched Evernote Hello so you can remember those you met and organize the context of how you met them. For small companies, Dropbox has the added benefit of supporting your hardware server and backup so it is accessible and constantly synced no matter where you are. Besides using Dropbox as cloud storage, documents can be accessed remotely and accidentally deleted items can be restored. While we wait for the next iteration of the netbook and tablet hybrid to be able to fully compute on-the-go, QuickOffice Pro bridges the divide with the much needed document creator and editor compatible with Microsoft Office. Investing a little bit of money into this app will go a long way for your business; integrating your mobile experience with the productivity tools offered here frees you from the burden of the laptop. Think of how much a desktop version of Office costs and then relate that here. It’s well worth it. The following article was originally written by Lauren Perkins on ForbesWoman. Networking events are a fantastic way to meet new business prospects, potential partners, and leverage relationships within your existing network for referrals. These events can certainly seem intimidating if you don’t have an action plan to keep you focused and on task. To make the most of networking opportunities, business women can treat each event as they would treat a date. Following the same rules that you would typically follow on a date provides some guidance for how to prepare for the event, what to do while there, and actions to take post-event to take advantage of any prospects. Research the event host and the demographics of the attendees. If there’s someone going to the event you want to be introduced to, ask a mutual contact for an introduction ahead of time. LinkedIn is a great resource to discover mutual contacts. Have a stack of business cards ready to go. Prepare your elevator pitch and main talking points, then practice a few times! Ask other attendees about their purpose for attending. Make conversation with people you have the most business interest in. While you should be friendly to everybody, don’t waste more than two minutes chatting with someone who you know you have no business interest in. Listen to who they are and what needs they have that your business may be able to fulfill. Ask strategic questions to direct the conversation- play to their needs, offer helpful hints, and suggest your business as a solution. In any dating situation, you always need a good exit strategy. Even if you’re having a great conversation and are interested in working with someone, you don’t want to spend too much time with one person. The more people you meet, the better chance you have at acquiring business. Think of it as speed dating! You want to handle these situations with great care because you never want to leave a bad taste in someone’s mouth about you or your company. Tell them next steps (“I’ll be in touch tomorrow to continue our discussion!”). Add the person on LinkedIn. Include a friendly message in the invitation that recaps the conversation and next steps. If the person doesn’t use LinkedIn, you can also send them an email with the same type of message. Also, make sure to download Rapportive, which is a social tool allowing you to view all of a contacts footprint on twitter, Facebook and LinkedIn. Networking events may seem intimidating at first, but the above strategic tactics alongside your natural abilities will ensure that you make the most of the opportunity both personally and professionally. If you think about networking the same way that you would think about being a good date, you’re sure to come out with a broader professional network and a rolodex of untapped business prospects. Recently I was honored to be invited to the G20-Y Summit in Paris France as an official US Ambassador for the “Innovation, Technology, Communication, Social Media and Wikileaks – Opportunities and Risks” committee. In addition to the committee I was a part of, other topics covered were: shadow banking; financial stability and regulatory issues in emerging markets; systemically important financial institutions (sifis) – resolution tools and regimes; climate change and green growth; integration of the perspectives of the Islamic countries into the G20’s mission and governance & regional conflicts 2011. The purpose of the G20-Y Summit is to inform the G20 delegates about major issues that are affecting all of us, especially the youth of today. At Perks Consulting we know how important technology and social media is to all of us personally as well as on a business level. It’s now assumed that in addition to a website you should have a social media presence on at least Facebook and Twitter. The way we interact online is often indistinguishable from offline interactivity when it comes to human behavior and how it affects us emotionally and financially. Innovation in technology and communication has fundamentally changed human behavior across the world. The pace of change and its potential impact, specifically in mobile and social media, continues to scale at an exponential rate. As a result, the world has become more interconnected. If harnessed correctly, innovation provides two solutions to current global challenges – GDP growth and job creation. If this isn’t addressed soon the existing divisions between ‘citizens and governments’ and ‘customers and corporations’ will continue to grow. The solution lies in changing education, fostering innovation and improving the quality of access to and use of social media. To change this situation, the lack of understanding within government, business and other organizations of this technological revolution and its impact on human behavior need to be addressed. We felt that G20 member countries should individually seek to understand their respective countries strengths and then collaborate to develop a global innovation policy. Once this is understood, G20 member countries should develop applicable frameworks for implementing education initiatives that foster innovation in a diverse, global economy. From this point we proposed to build a G-20Y Summit Innovation Committee. The purpose of this committee is to identify and establish global best practices by leveraging experts across a variety of fields and to connect the components of entrepreneurial ecosystems across the world i.e. ideas, capital and markets. Providing all citizens with quality access is the pre-requisite to realizing the growth potential. Every 10% of broadband penetration results in 1.2% – 1.4% increase in per capita GDP growth (source: World Bank). In order to take advantage of the opportunities at hand, it was recommended that the G20 set a timetable for the development of digital networks across the globe and define specific benchmarks for penetration rate, speed and quality of access. These solutions must be economically viable and environmentally sustainable. On a personal note, connectivity issues don’t just plague third-world countries. I had frequent connectivity issues while in France and Chile. You don’t realize how essential digital communication (email, social media, texting, etc.) is to your life until you don’t have access to it anymore. With evolution across the technological landscape occurring vertically and inconsistently among cultures and borders, the open culture of social media networks has also brought economic and social disparities in full view. Movements of civil unrest have arisen, generating reactionary responses from government leaders, attempting to control and undermine access to such digital communication tools. As more of humanity comes to rely on technology as a part of their everyday lives, there will eventually be increasing ire towards governments that attempt to curb technological access or refuse to prioritize the development of digital infrastructure. This issue also extends beyond despotic countries, with governments lacking understanding in this revolution of communication norms and interaction, hoping to maintain the status quo and a powerful elite voice. Instead, social and mass media should be seen as a tool to engage, educate & connect with these communities to quell any issues and provide a more open forum for societal progress. To address this we proposed that the G20 creates a Technology and Communication Board, to 1) maximize growth by identifying global trends that correlate to economic activity, measuring Key Performance Indicators and developing recommendations that capitalize on GDP growth opportunities and to 2) mitigate risks by creating a global policy on cyber security, privacy matters and the use of technology for criminal activity. The world is only going to become more interconnected as time goes on. With an increasingly globalized trade system and lightning speed transactions, the lack of stable and accessible technological infrastructure needs to be addressed as a priority or major political, social, and economic consequences will arise for individual governments. Hopefully these suggestions from my G20-Y committee will be implemented in a timely manner in order to move forward effectively. I hope to maintain a commitment furthering the role of social media and technology across the board by staying involved in these issues, especially while engaging with Entrepreneur Week across the globe. When it comes to lifestyle innovation, the car industry is definitely doing their part to push things forward. The latest in a line of digital disruption is Zipcar allowing customers to reserve a car on Facebook, thus moving the social commerce needle forward. Why is this important? According to a survey done by Zipcar, 88% of their customers spend roughly 15 hours per day on Facebook. First off, that couldn’t possibly be true. While it’s important to poll your customers, it’s also important to get the right data. For that statistic to be true, Zipcar’s customers would have to be on Facebook for every single waking moment. Having Facebook open isn’t the same thing as actively being “on” Facebook. Regardless of the skewed data, Zipcar’s decision to allow customers to reserve cars on Facebook is no less important. It’s widely documented that people general spend a lot of time on Facebook and leave it open in a tab. Instead of forcing your customers to search for your website on Google, they can just search for your brand on Facebook and use it through that channel. Zipcar’s engagement proves that online shopping goes beyond just e-commerce and buying products. Customers are hungry for viable e-commerce solutions that simplify the process by allowing them to shop where they spend the most of their time – Facebook. Zipcar launched a Facebook application today, for the company’s “tech-savvy” customers. “We know that our members are tech-savvy and actively engaged in social media, so providing members with the ability to reserve a Zipcar directly through Facebook is a natural next step,” Scott Griffith, chief executive of Zipcar in a statement. According to member surveys performed by Zipcar, 88 percent of Zipcar users are also Facebook users who spend roughly 15 hours a day on the social network. So why not capture the audience where it spends the most time? Not to mention the obvious opportunity to acquire new customers from Facebook’s 800 million active users. Visitors to the Zipcar Facebook app will be able to find and reserve available cars, get direction to the car’s locations, and of course, share the reservation with friends. You will also be able to extend or cancel a reservation directly from Facebook and because it is a canvas app, there is no reason for Zipcar member to leave the Facebook website. Facebook recently made a slew of changes to its platform allowing these apps to really flourish. These changes include updates to it’s developer-focused Open Graph, the ability to integrate different vocabulary into your “likes,” and more. Zipcar users can also stay mobile through Zipcar’s mobile app available on both Android, iPhone and website. Social media marketing has moved from cutting edge to being standardized across online channels. Brands can ask their customers what they like on Twitter and Facebook, but when it comes to reaching them in a dedicated mobile environment there hasn’t been much in the way of innovation. That’s where Opinionaided comes in. Opinionaided allows you to ask a question, upload a photo, and have users vote on it. As with all new networks and apps, the form of user engagement should be determined early on. If you decide to use a question and answer platform like Opinionaided, it’s better to ask if users like one of your products versus another one. Users should never be asked to compare to a competitor or be given an option to compare two of your products that aren’t similar enough. Remember, you never want to make your customers uncomfortable. There’s also a possibility of engaging network influencers by making them brand ambassadors, but this shouldn’t be taken lightly. If payment is provided then disclosure needs to be standardized across the board. For situations like this we recommend Cmp.ly, which we worked with early on to design their iconography. We do not recommend doing this on your own, as navigating the paid brand ambassador waters can be tricky. It’s always best to bring in a marketing or consulting agency that has done lifestyle engagements before. Regardless of whether you use an agency, make sure you have a content creation calendar and social media guidelines with examples of proper usage before you set out to use any new network officially. Everyone’s got an opinion — something that the mobile question and answer company Opinionaided has tapped into with its popular iPhone app. Today, the company is releasing its long-awaited Android app, which will help to spur on Opinionaided’s skyrocketing growth and increasing user engagement. As of September, active users are now spending 3 hours and 25 minutes on the app, compared to around two and a half hours in August. Opinionaided users gave over 10 million responses to over 250,000 questions last weekend alone. Clearly, users are finding something addictive about the service, which allows you to take a picture on your phone, ask a question, and instantly receive responses. Kurani tells me it took the company some time to put together the free Android app, which is now available on the Android Market. The Android app still doesn’t have some of the sharing features that the iOS app has, but Kurani says they’re coming soon. In my brief testing of the Opinionaided service, I was struck by just how quickly responses to my questions came. That near-instant engagement even surprised Kurani when the app was first launched. He says that users are now seeing between 50 and 100 responses per question, with an average of 70 responses. Kurani attributes the impressive users engagement to the company’s focus on on opinion Q&A, instead of fact-based Q&A like Yahoo Answers. Opinionaided is based in New York City and has raised around $6.7 million across two rounds of funding. Fashion magazines have started to feel the strain of online on their advertising budgets, so some are starting to offer online retail in addition to their traditional editorial offerings. This shouldn’t be done as reactionary though. Offering ways to purchase items directly should be done naturally with lifestyle innovation, as readers want a way to instantly purchase something they desire. In print publications each editorial item should have a short URL that leads to the publication’s hybrid editorial ecommerce portal, where readers can see the item exactly how it was in the spread and purchase each item by clicking on it on the model. Fashion publications would also do well to integrate into Facebook, as Details Magazine has done. Ecommerce is growing in leaps and bounds on Facebook (as is social reading) so it would be in their best interests to integrate both aspects in one easy to use experience. Tablet and mobile devices are also becoming more and more popular and as so different experiences need to be put in place for each interface. The user experience is of the utmost importance, especially on mobile devices. Overall, if fashion magazines are truly to make the transition into a 360 integrated publication retailer they must pay attention to UI/UX, mobile development, social shopping development, custom Facebook integration development, and naturally website development. Perks Consulting specializes in all of these areas, offering the most versatile packages for our clients when it comes to a holistic solution. While the glossies have long had a reputation for accommodating the designers they cover, sometimes guaranteeing coverage to those who advertise in their pages, a wave of new ventures and partnerships suggests they are willing to go even further by selling the designers’ clothes. It is a move that is raising some eyebrows in the industry, as magazines like Vogue, GQ and Esquire, struggling to survive in an online world, could potentially become competitors to stores like Saks Fifth Avenue, Neiman Marcus and Barneys New York. This move should prove beneficial for consumers who will be able to find everything they need in one place. So, if they read a review about a product they like, they can click through and order it straight away. We’re huge advocates of social shopping, especially on Facebook. We have vetted over a dozen solutions and found that besides one or two, most are just special tabs on Facebook fan pages. Some even take you away from the Facebook experience by bringing you to a second page that loads the store without any fan page navigation. With these new changes to Facebook (customizable Open Graph and real-time news Ticker) brands will be able to reach more potential customers through new viral techniques. The only foreseeable problem will be the ability to easily implement these new additions easily and quickly. While large brands can afford to pay developers to create custom solutions for them, smaller brands can’t. When we need to work with smaller brands we bring in established social shopping solutions that can be customized to their brand specifications and marketing needs. Hopefully social shopping vendors add these new changes to their solutions so both large and small brands can benefit from this. We at Perks Consulting are excited about these new viral techniques that will enable brands to connect with potential new customers. Christian Taylor is founder and CEO of Payvment and developer of the number-one Facebook ecommerce platform for brands, agencies and merchants, and the world’s only Facebook Shopping Mall. Many of the new features introduced at Facebook’s f8 Developer Conference last Thursday, such as a customizable Open Graph and real-time news Ticker, will have a tremendous impact on social commerce and social shopping in the very near future. Developers will now be able to build a Facebook commerce experience more relevant to shoppers and also offer more effective social discovery for sellers. Sellers will be able to access new insights into shopper preferences and will use this data to better promote their products. 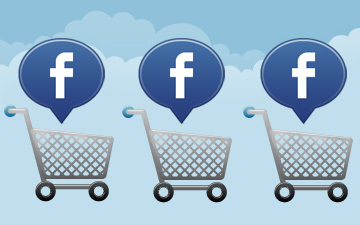 These new opportunities will make the Facebook shopping experience richer and more social. 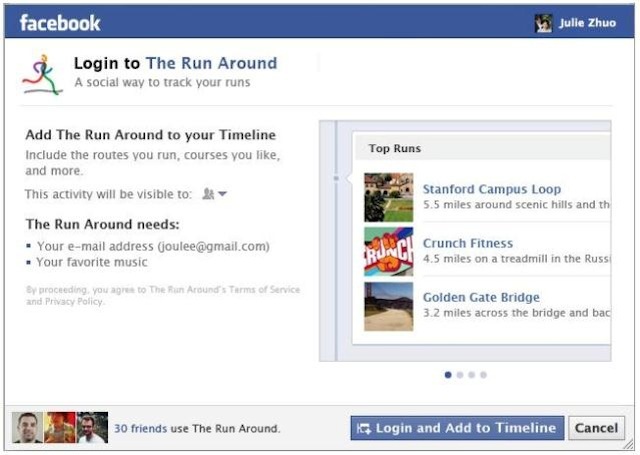 Here are five ways Facebook’s new features will fuel social commerce and product discovery. Custom Open Graph gestures will bring a new level of relevance to the Facebook shopping experience. By enabling new buttons such as “Want,” “Own” and “Love,” shoppers will be able to express themselves more specifically around a particular product. Consequently, News Feed stories can also be customized to generate phrases such as “Jim reviewed” or “Jane loved” a particular product. These types of posts will drive much more effective social discovery than a simple “Like” story. These new buttons will also be used to enrich the social shopping experience within Facebook storefronts themselves. For example, in the future, you will be able to see who “owns” a product you’re considering and connect with that friend for recommendations. This functionality will also enable sellers to engage more deeply with shoppers. For example, if I discover that Jim owns a product in my storefront, I might ask him for a product review. As powerful as this capability is, developers should be careful to publish only the activities that shoppers agree to promote. For instance, if a boyfriend is secretly checking out engagement rings, he might not want his whole friend list to know about it. As part of the new design, Facebook will aggregate application activity to create persistent modules on a person’s Timeline. Different social shopping widgets will post to a person’s profile, such as holiday and birthday wish lists or wedding and baby registries. These lists are created automatically based on the custom action buttons. For example, all “Want” button clicks will create a wish list on the Timeline. Adding product-focused lists to your profile lets people know what you want, and makes it easier for friends to know what to buy you when those special events come around. Now when your friends get a birthday reminder for you, they can click through to your profile, and may even be able to buy you something from your birthday wish list immediately. The Ticker will also play a role in promoting these wish lists. Want to remind people about your wish list before your upcoming birthday? Just “Want” a more recent product and it will automatically generate a fresh Ticker story. Have you ever started to use a new Facebook application, but hesitated when seeing how the application could use your data? The current permissions dialog box did not allow developers to explain why they want your permissions, so users didn’t always have enough information to make an informed decision. Developers will now have more control over the content displayed in the permissions dialog, and thus can better articulate how a person’s data will be used. Social shopping applications can explain exactly what type of data will be used and what benefits it will provide the shopper; they can even include screenshots of posts that might appear on your Timeline. For example, a permissions dialog might explain that your Facebook interests will be used to provide product recommendations and special deals targeted to you. This option could, in turn, build trust and increase participation by users. The Facebook custom Open Graph and Ticker opened the door to social music discovery – so why not social shopping as well? In the near future you might see an “invite friends to shop” button within a social storefront. Clicking on it would generate a post in the Ticker that says, “Jane is shopping for baby strollers.” When a friend clicks on the post, they would be taken to a chat room-style panel or comment box where they can share stroller recommendations. That feedback might become part of the public comments in the store, or may only be visible to the two of you. The end result is that you have enlisted your friend’s help to make a purchase decision, as if you were both shopping together at the mall. These kinds of experiences are only the beginning. Just as developers have used Facebook to bring people together to play social games, so too will developers use this new functionality to make Facebook shopping a much more interactive — and social — experience.